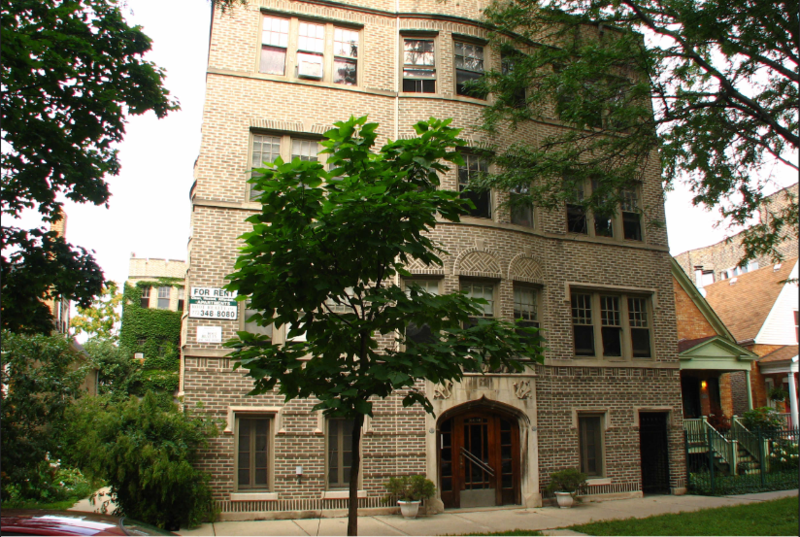 The owner of an apartment building approached Root Realty, a Chicago Property Management firm. The owner wasn’t happy with the return being produced from the apartment building, and was looking for a new firm doing apartment building management in Chicago to manage the property. We were happy to assume responsibility for managing the building. When our dedicated property management team started managing the building, the owner was facing several critical challenges. The building’s occupancy rate was too low. The gross scheduled rent was $12,800, but only approximately 80 percent of the rent was being collected totaling $10,240 per month. Operating expenses ran approximately $8,000 per month. The owner was netting just over $2,000 per month. The owner’s main goal was to improve the property’s cash flow. However, as we looked at the situation, we realized that there was an opportunity to do much more. We were looking at a turnaround situation, not just a challenge to increase cash flow. We researched the rental market in the area to identify an accurate market rent, and created a plan to achieve it. Delinquencies were having a large impact on cash flow. We put processes in place to eliminate the late payments. The janitor wasn’t maintaining common areas in a way that supported market rent. Therefore, we hired a new janitor who could achieve a higher standard of work. Repair costs were out of line. We set up a preventative maintenance program that reduced overall repair costs. With the decrease in accounts receivable, the building’s cash position was significantly improved. We used that money to complete improvements in each of the units. We were then in a position to raise rents to an appropriate market rent level. After two years of careful planning and implementation, the results were obvious. The gross scheduled rent increased from $12,800 to $16,000 per month. We increased the percent of collected rents from approximately 80 percent to 100 percent. We reduced expenses by 25 percent to $6,000 per month. The owner is netting $10,000 per month. The cap rates are hovering near six percent. Before the property owner hired Root Realty, his property was worth $450,000 based on a cap rate analysis. After we completed the turnaround, the property was valued at $2,000,000. Effective Chicago property management isn’t about doing one thing well. It’s about taking a holistic approach to identify what needs to be done, and then doing all of those things well. The dedicated property management teams at Root Realty have the experience, knowledge and expertise to manage your property effectively. Call us today at 773.904.1384, visit our rental property management page, or send an email, to learn how we can add value to your property.